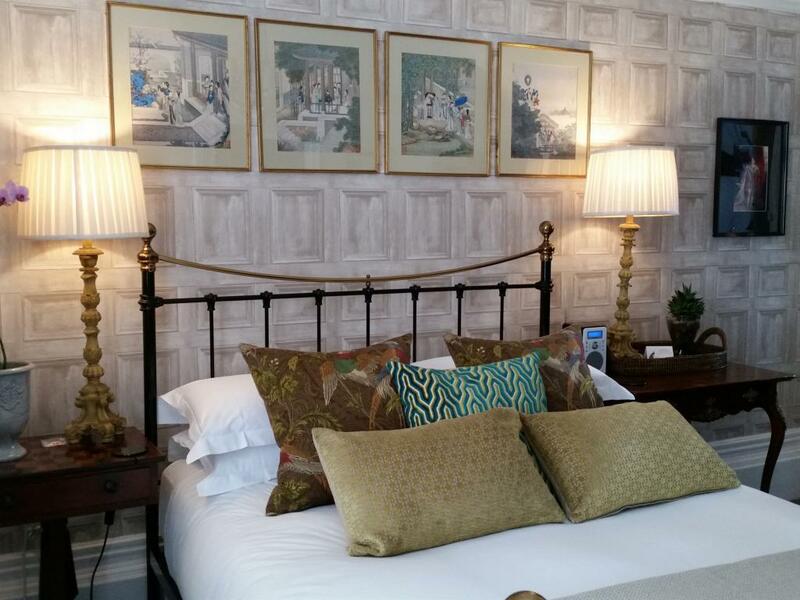 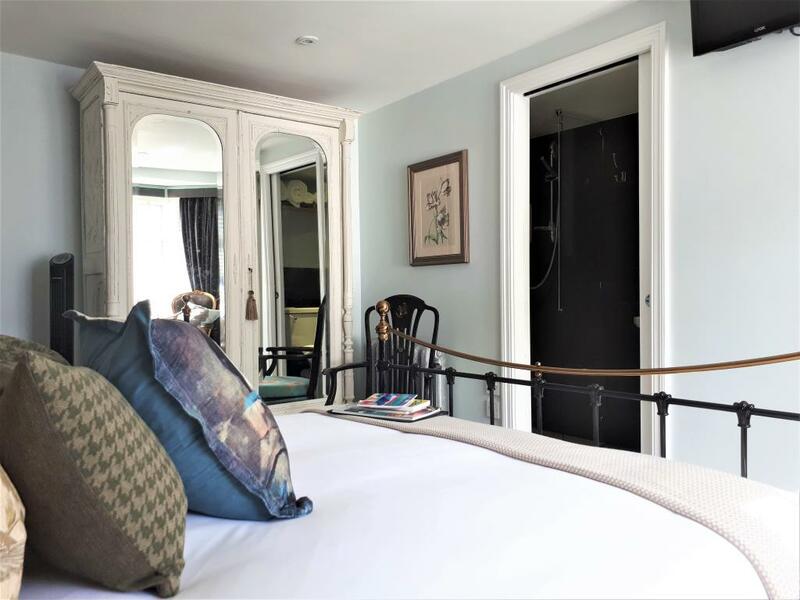 The Steine Room is located on the ground floor and at the rear of the house overlooking a courtyard garden. 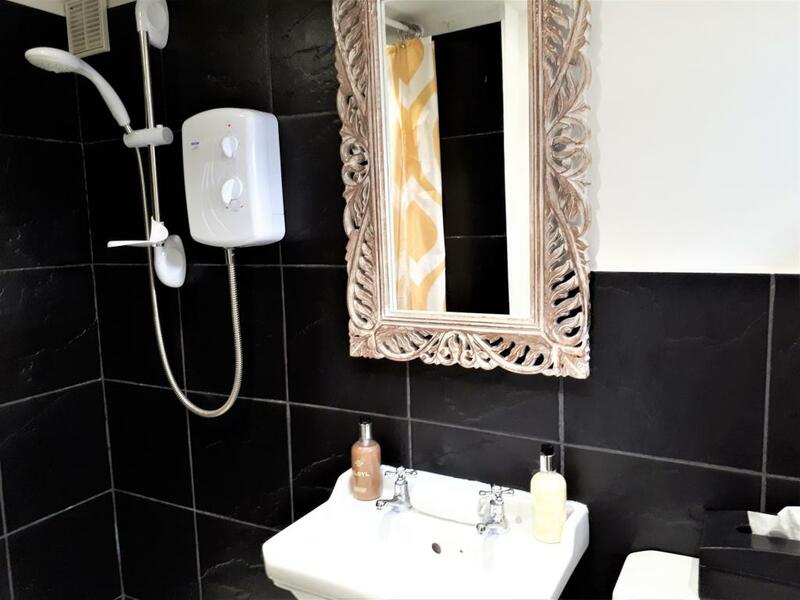 It is is a cosy single room, fully en-suit with shower. 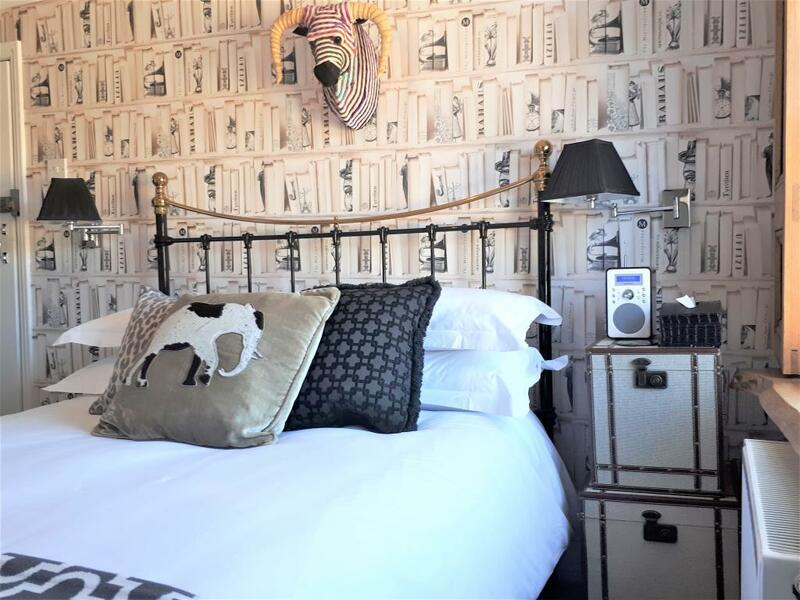 Named after the historic area of Brighton where the then Prince of Wales chose to build a summer residence to entertain his friends. 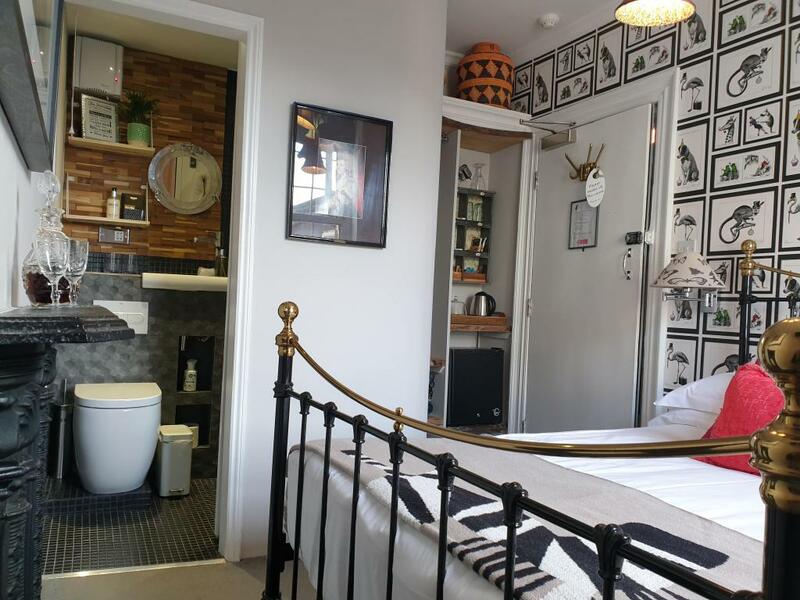 With warm, earthy grey shades, vibrant accents of saffron yellow and pretty white antique furniture, Steine provides a relaxing place to enjoy a break in Brighton whether you visiting for business or pleasure. 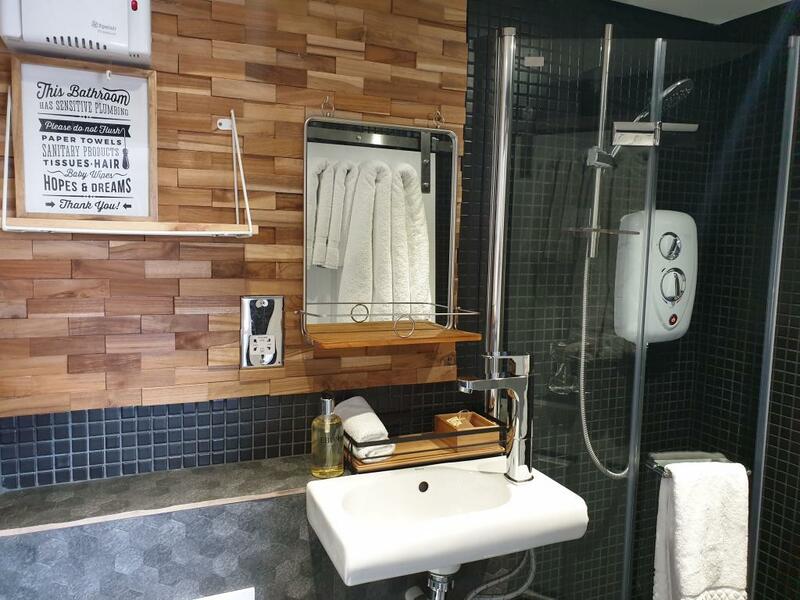 The room enjoys tea and coffee making facilities, flat screen TV, luxury toiletries, bathrobe and plush towels. 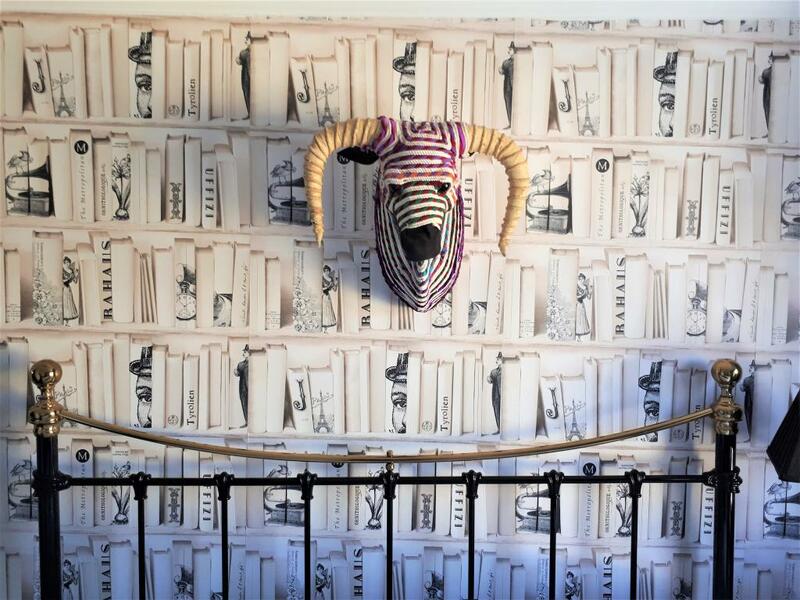 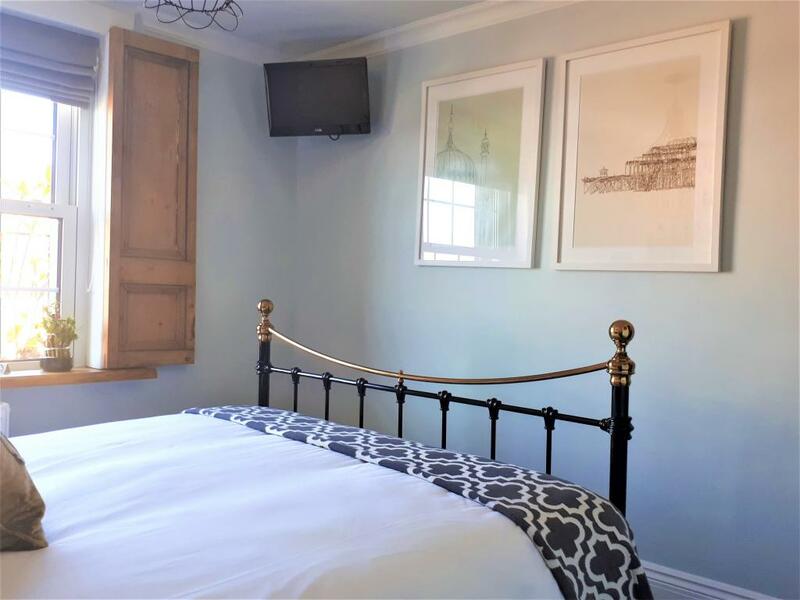 The Prince Regent Room is named after the man who, as well as building the Royal Pavilion, did much to popularise Brighton as a fashionable resort; this well-proportioned en-suite room on the first floor enjoys a view of the sea from its bay window. 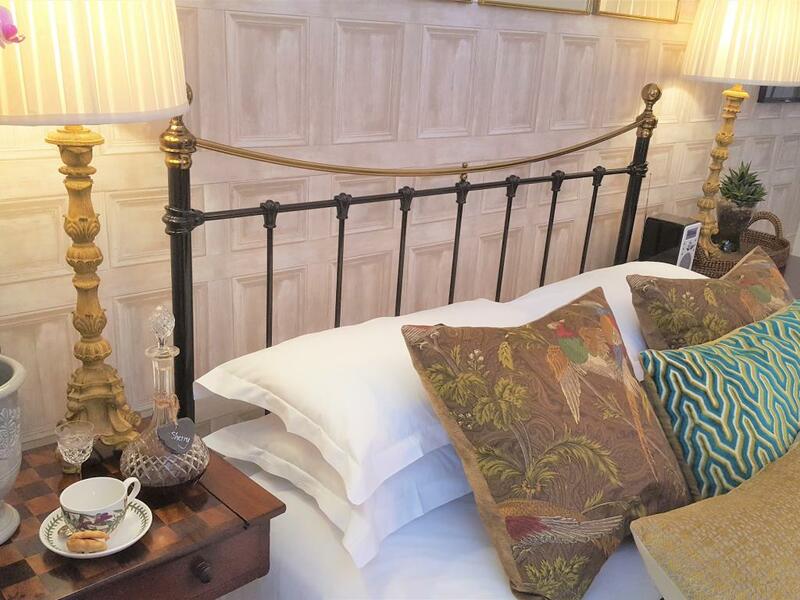 Fitted with a king-sized bed, the elegant antique furnishings combine with the green and gold fabrics to give the room a warm, inviting, colonial feel. 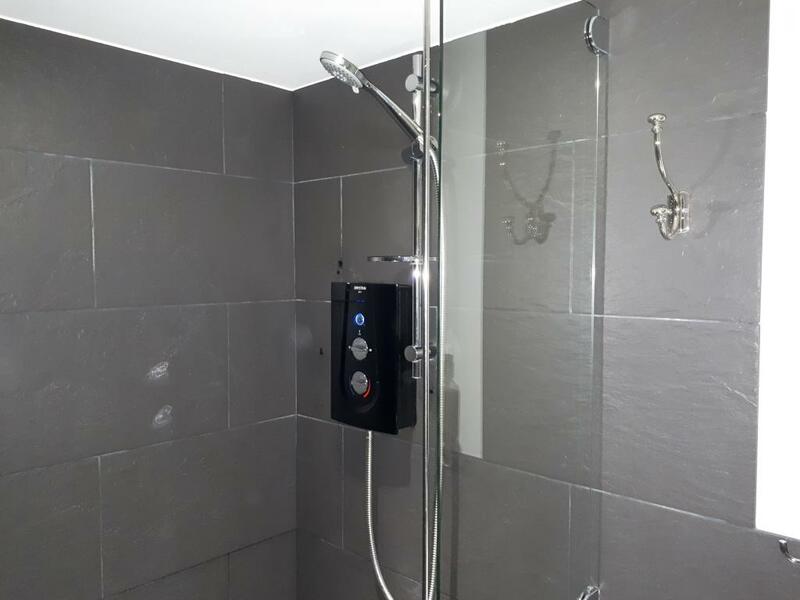 The room is fully en-suit with a walk-in shower. 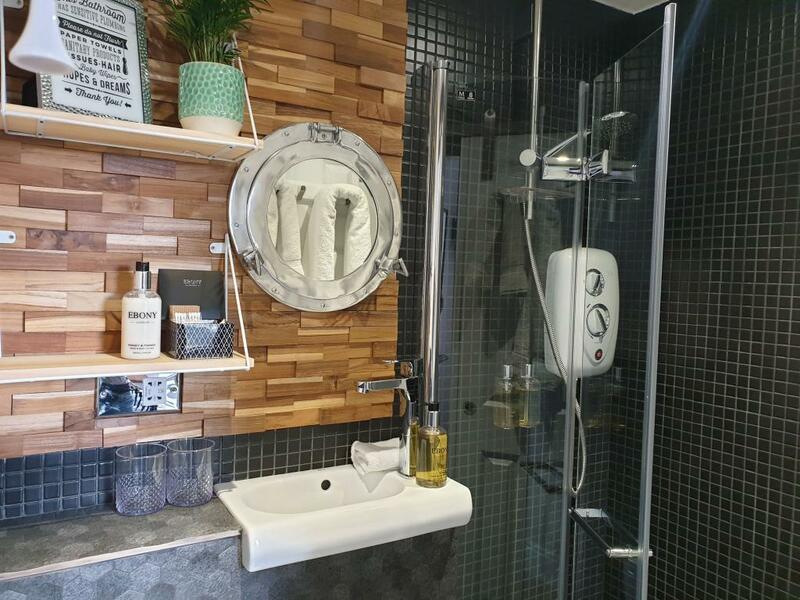 It has conventional tea and coffee making facilities as well as a Tassimo coffee machine and fridge. 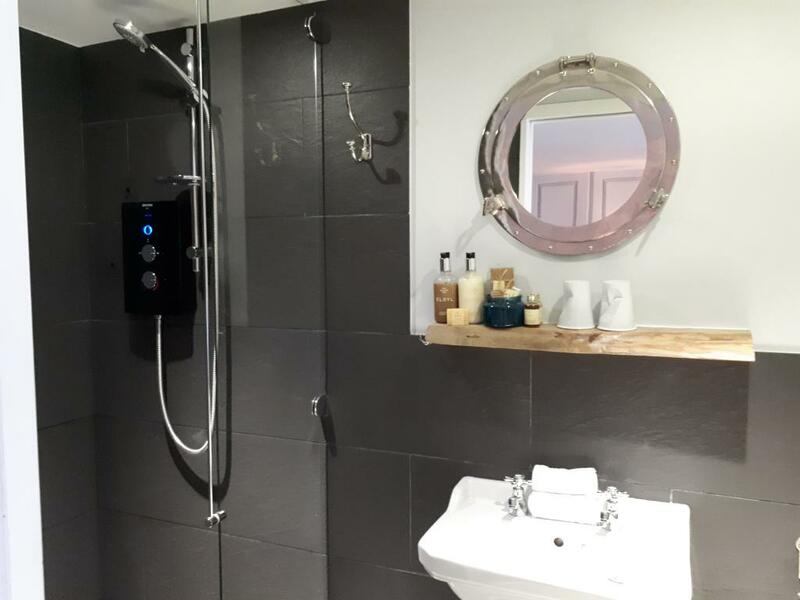 There is a 32" flat screen TV with Freeview and DAB radio in the room as well as luxury toiletries and plush towels. 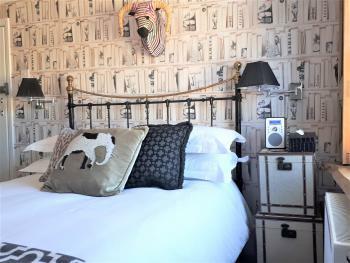 Fitzherbert Room is a double room located on the first floor at the rear of the house and overlooks a courtyard garden. 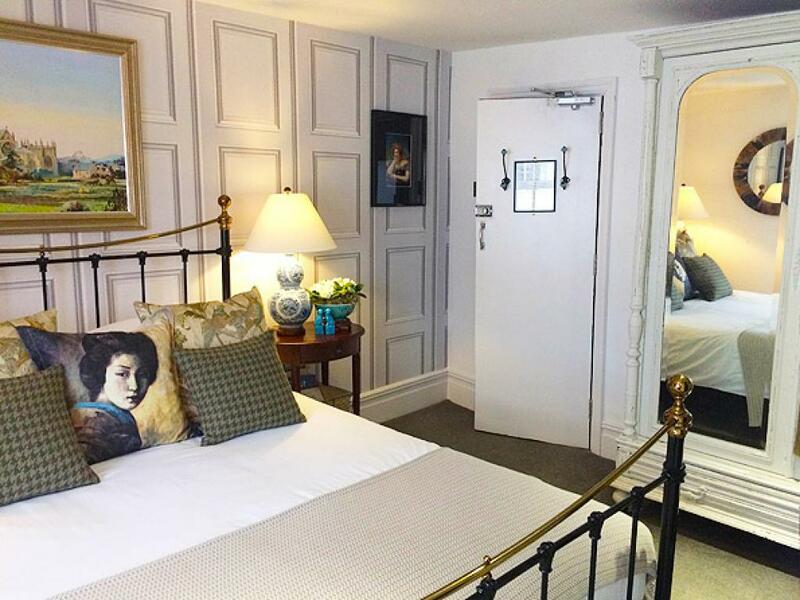 Named after Maria Fitzherbert, the first wife of the future King George IV, this compact room is fully en-suite with a walk-in shower. 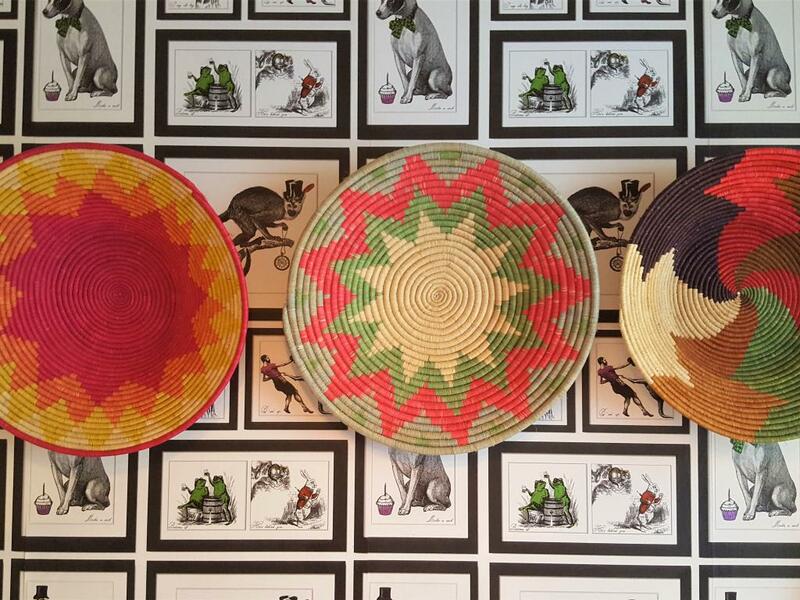 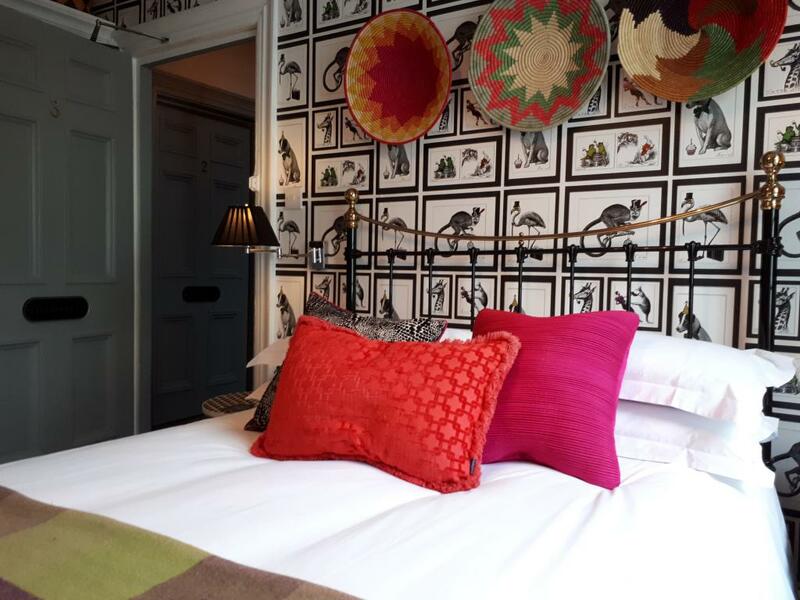 The double bed is dressed with African cushions and fabrics, complimented with brightly coloured wall hangings and ornaments, creating a vibrant feeling of warmth and fun. 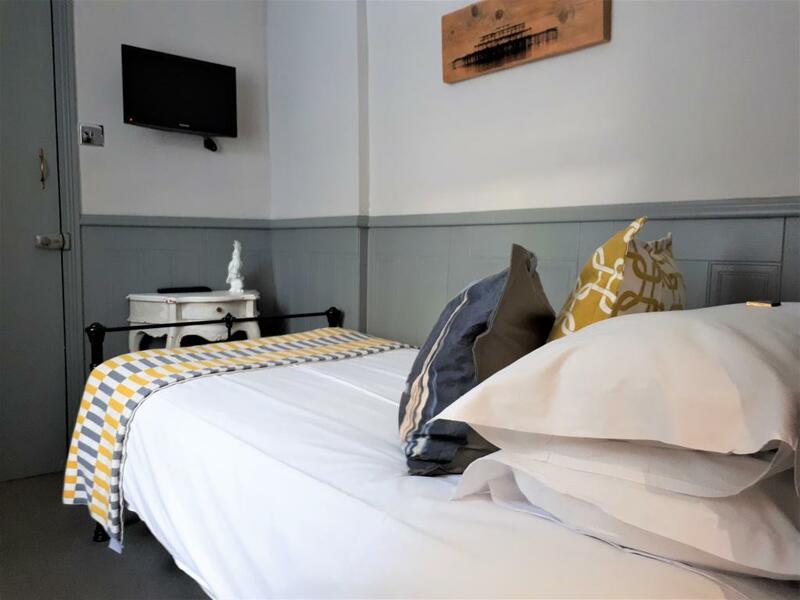 The room enjoys tea and coffee making facilities, flat screen TV with Freeview, refridgerator decanter of sherry, luxury toiletries and plush towels. 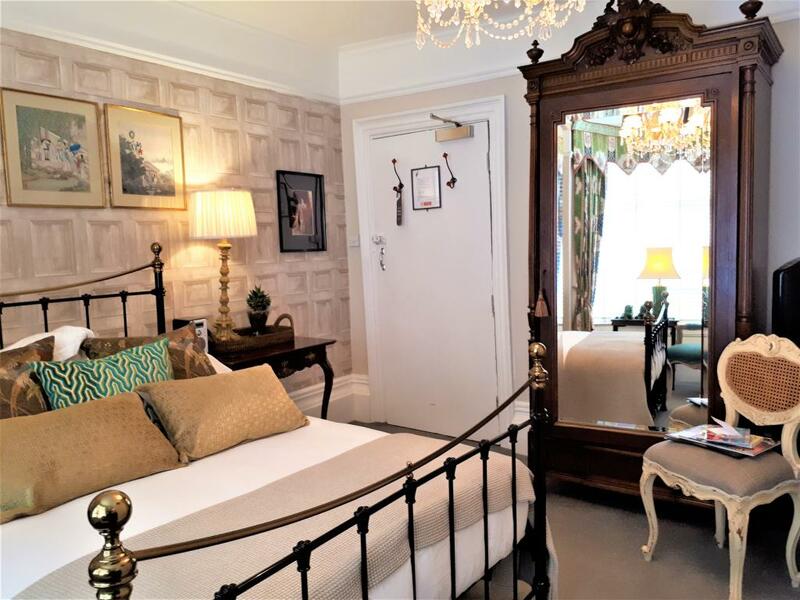 The Brunswick Room is named after Caroline of Brunswick, the wife of the Prince Regent and later Queen of the United Kingdom when the Prince became King George IV, this spacious second floor room at the front of the house has views towards the sea from its bay window. 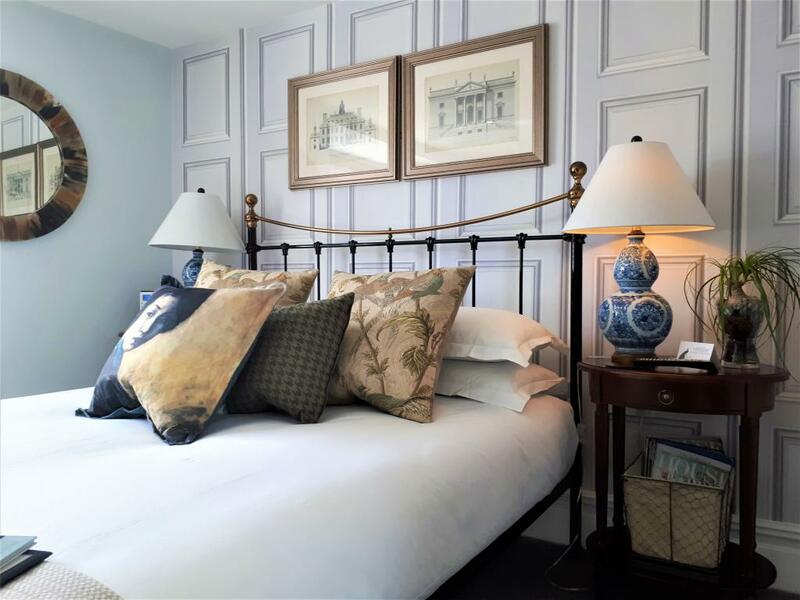 Chinese inspired accents such as the soft blue and white lamps, antique porcelain and the beautiful vintage Chinese style fabric of the day cushions that enrich the king-size bed, evoke a feeling of peace and tranquillity. 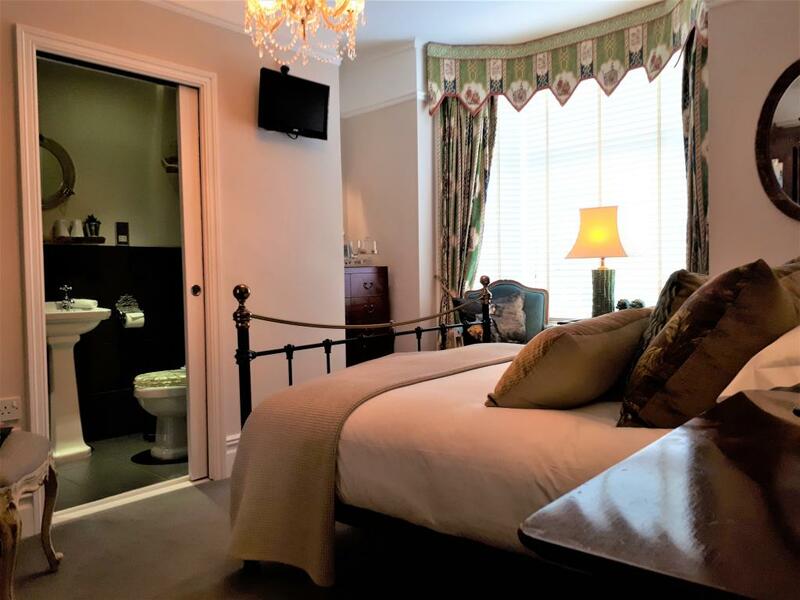 The room is fully en-suit with a walk-in shower. 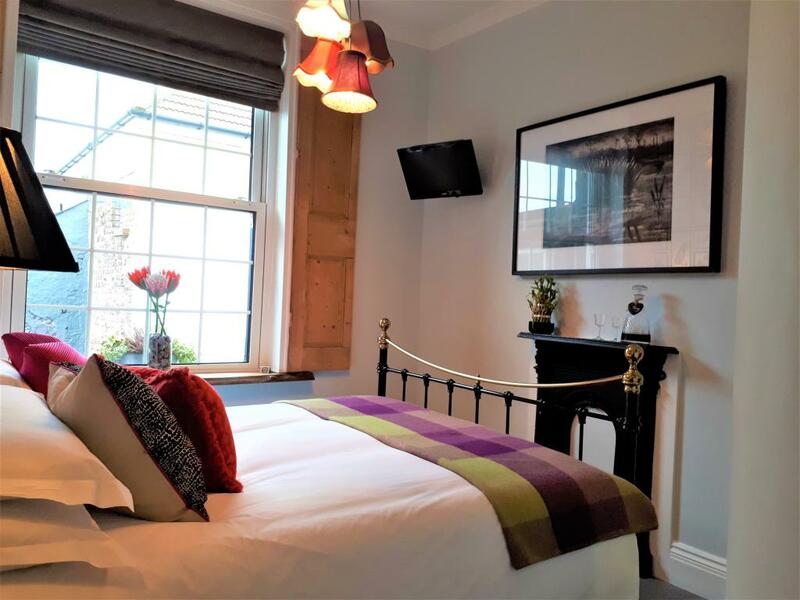 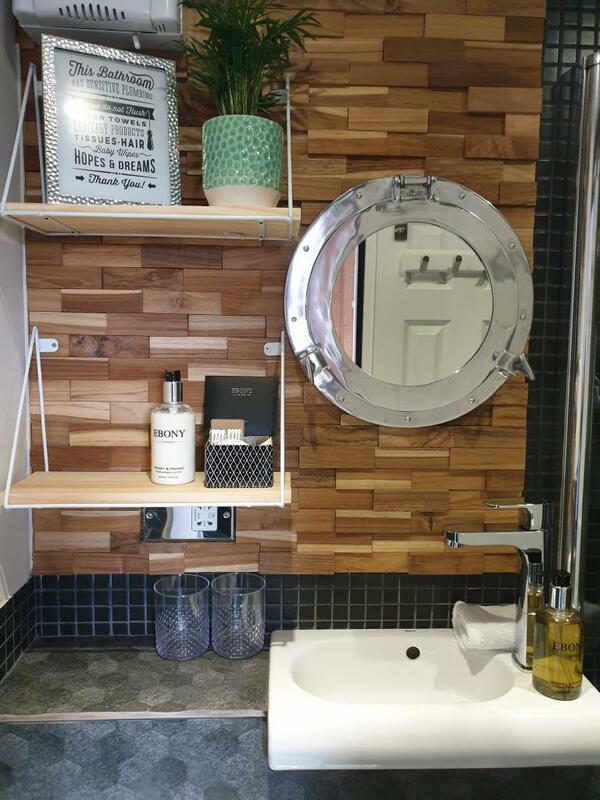 There are conventional tea and coffee making facilities as well as a Tassimo coffee machine, fridge, a decanter of sherry, 32" flat screen TV with Freeview, luxury toiletries and plush towels. 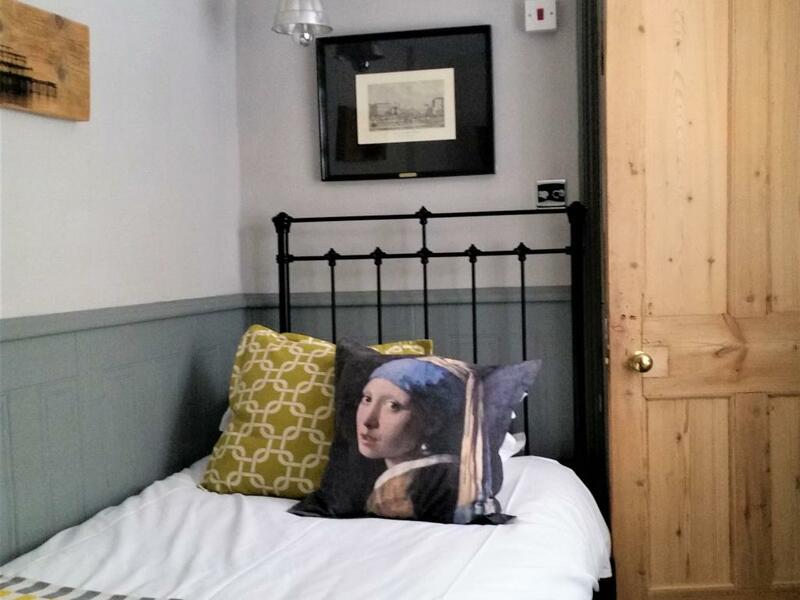 The Villers Room is located on the second floor. 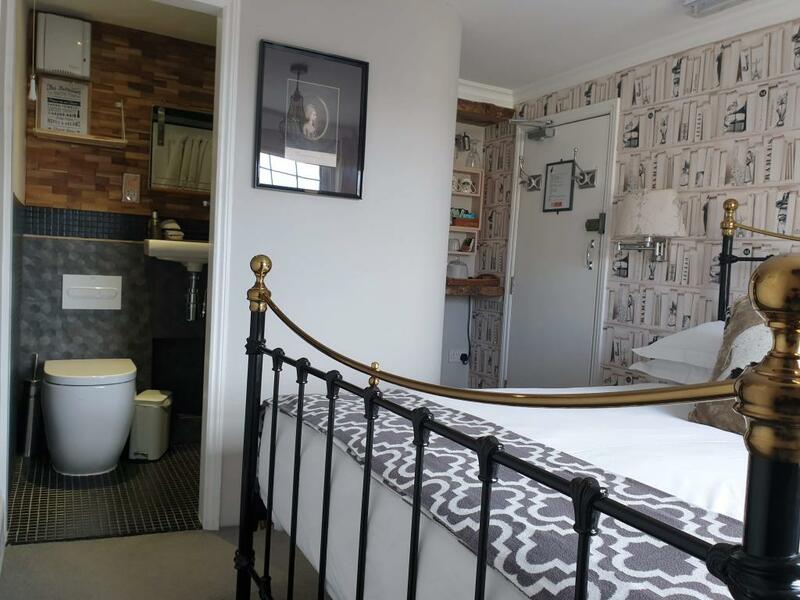 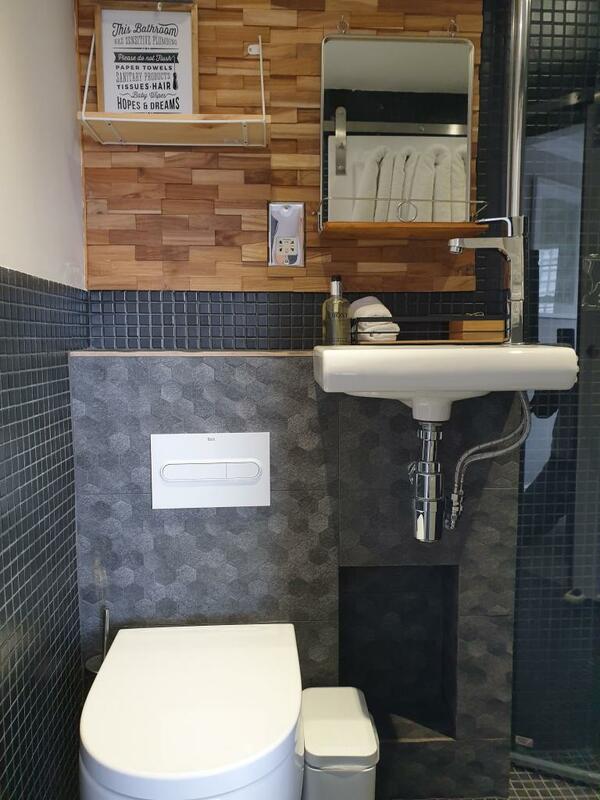 It is full en-suite with a walk-in shower. 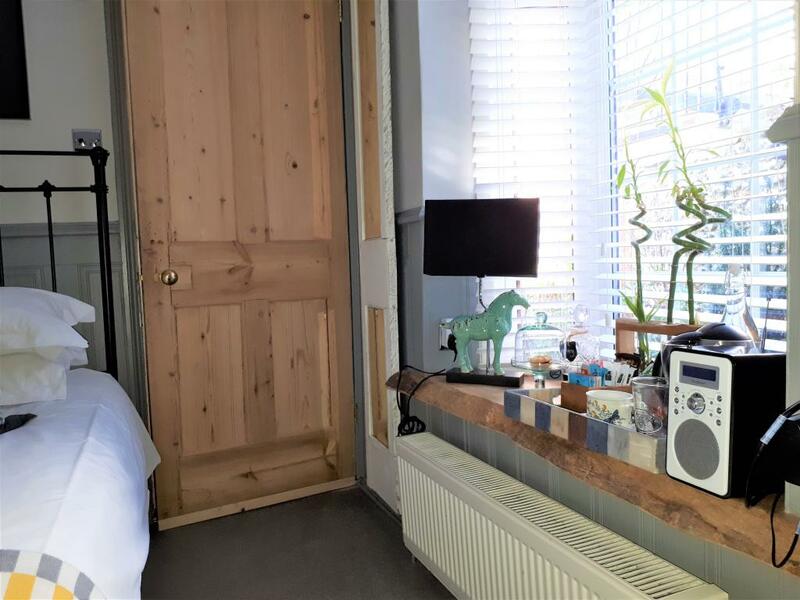 This compact room, at the rear of the house, has views over Brighton’s rooftops towards the sea and the i360 observation tower. Named after Francis Villiers, Countess of Jersey, she was the favourite mistress of George IV for more than nine years. 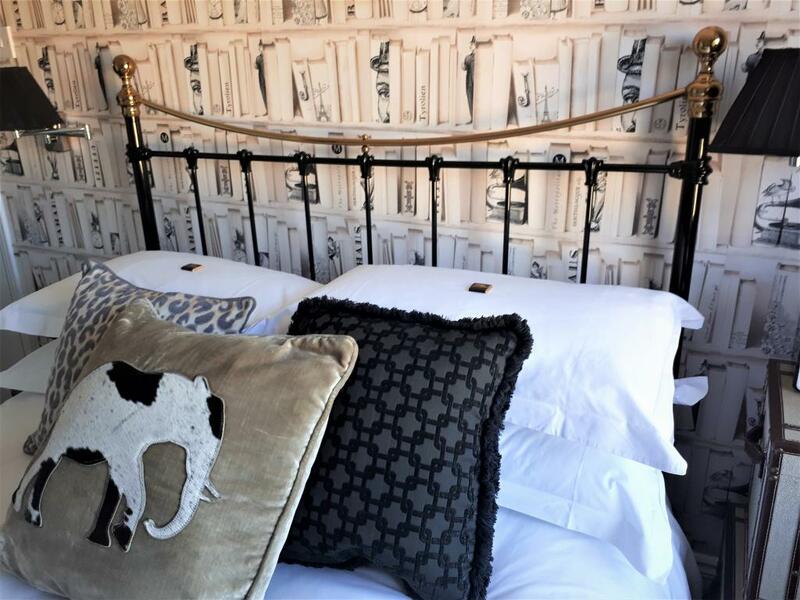 There is a double bed, dressed with cushions and fabrics in various shades of beige, which, together with the quirky ornaments, create an atmosphere that is fresh, calm and relaxing. 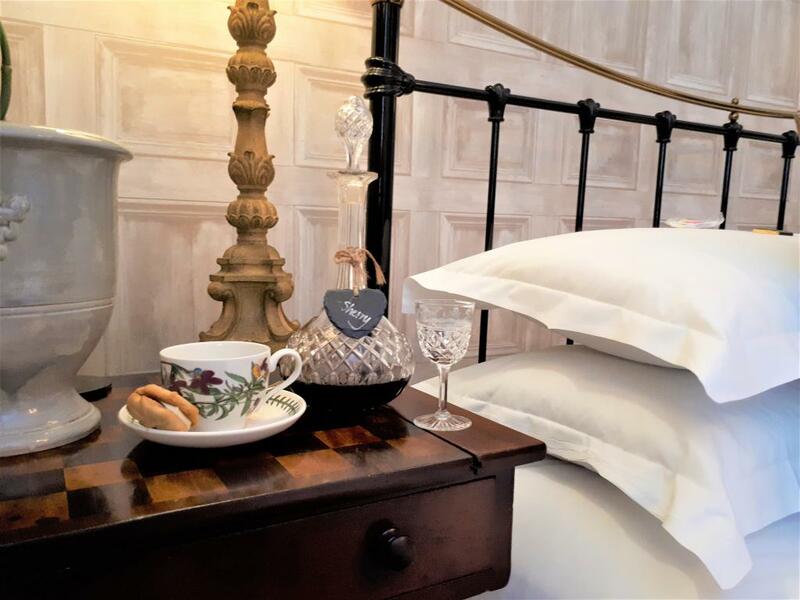 The room enjoys tea and coffee making facilities, a decanter of sherry, flat screen TV with Freeview, luxury toiletries and plush towels.